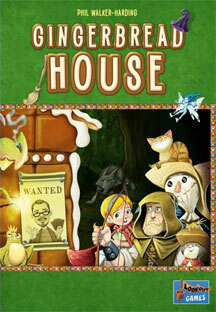 This game is in Gingerbread House Board Game Series. Once upon a time a witch lived alone in her house in the depths of the forest. Her favorite hobby was baking yummy gingerbread; in fact, she loved gingerbread so much that she build her entire house out of it. Unfortunately, she wasn't the only one who loved it! Rude fairy tale characters passing by were eating away her walls, windows, and doors!